One word. Maui. I can’t say enough of how dearly I adore Maui. Thanks to catering a friend’s STUNNING wedding, my Husband, Daughter & I were able to take our very first Family Vacation! And it was beyond just perfect. Starting from the very beginning, due to all of my not-so-lovely menopause symptoms, I truly believed that I was going to be MISERABLE. Because, let’s face it, heat AND humidity?? Save me. However, despite preconceived notions, something happened as soon as I stepped off that plane. Something magical. I fell in love. Within my heart and my soul. Nearly instantaneously. Which is, well, kinda miraculous for me. The me who had been 100% positive that the only place I would ever feel truly comfortable and happy in, was somewhere high up in the mountains, surrounded by the towering trees and looming stars and winter snow. Yet, somehow, against all of the odds, Maui happened. Truth happened. Where amid the sweeping beaches, and endless blue skies and the unfathomable sea, everything clicked. And I knew, without a shadow of doubt, that this island was where my Little Family was meant to be. No more of the rushing and business and bleakness of the Bay Area. No. More. No more for this Family of mine. 7 days later, while driving back to the airport, amid the flashing blues and greens surrounding us, I looked over to my very quiet Husband and saw something that I’ve only seen on 4 other occasions within our nearly 11 years together. Tears. Tears over leaving an island that felt like our true HOME. And since we’ve been back in the Bay Area for nearly a week now, we’ve already decided that we’re ready to move back to this island. To start over. To be where the both of us left a huge chunk of our heart and soul. The plan? 1 year. In 1 year we will leave this horrible place of TOO much of everything and go HOME. To Maui. To TRUTH. To US. Firstly, to create the Simple Syrup, bring 1-1/2 cups of granulated sugar and 1-1/2 cups cold water to a boil, in a large pot. Stir until fully dissolved. Remove and let cool for a few minutes. 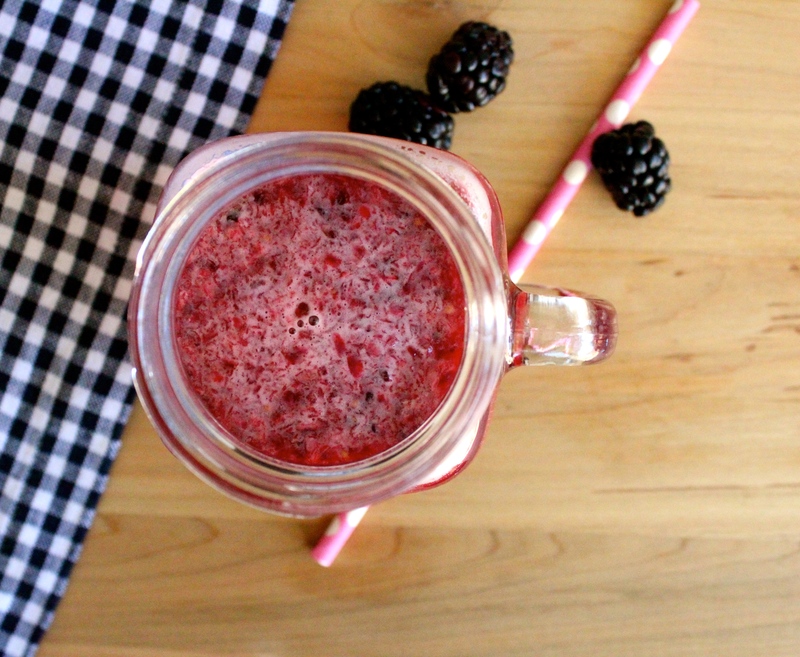 With the two cups fresh blackberries, using a small blender, liquify the blackberries until smooth and fully crushed. In a pitcher or refrigerated container, combine the Simple Syrup and liquified blackberries with two cups fresh lemon juice and 2 cups cold water. Stir the entire blend together for a few minutes before adding in a couple of ice cubes. AND serve! SO easy! And SO DELICIOUS! Now you too, can taste a little bit of Aloha! « Happiness Project#56: Lemon Berry Pancakes! I used to live on Maui. I loved it there, and I’m pretty sure I’m going to love this lemonade recipe too. Thanks! You brought back some nice memories. Indigo, I’m so glad that you stopped by! I hope this recipe brings you much happiness! Wow, this looks so refreshing and delicious. Great recipe, thanks for sharing it! Tirralan, you’re welcome! I hope you enjoy it! Oh my goodness..this looks so yummy! How great that you get to move to Maui! I LOVE HI! I’ve been to Maui for a day trip, that’s it..would love to spend more time. I am going back to Oahu in June, so looking for to a great vacay! You certainly have wet my whistle for the islands with this fabulous share!! I’m going to try this out! 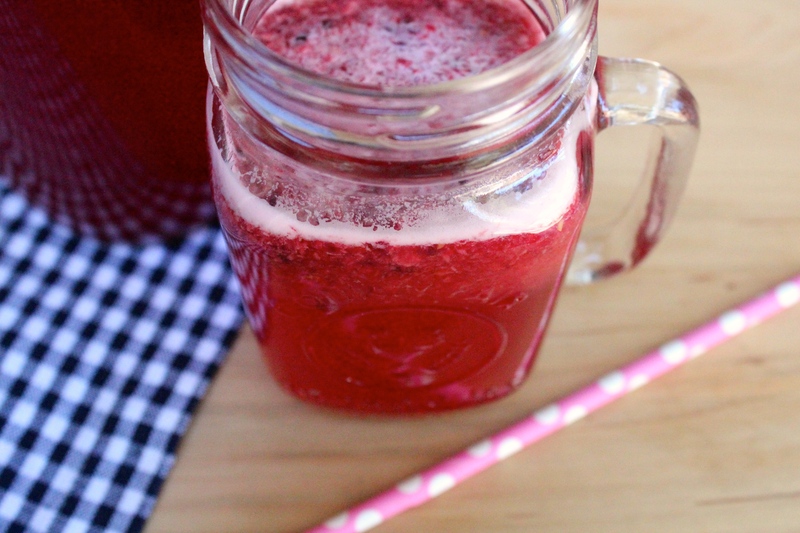 It looks refreshing and yummy for summer! Oh my gosh, I have to try this! I love how simple the recipe is. Awesome sauce!! http://www.mustbeamomblog.com/liebster-award/ You have been nominated! Go check it out!